The latest edition of This Week in Tokyo – a review of the Maction Planet week that was and a look ahead to what’s coming up in and beyond the city. Check out photos from our tours and read insights into our explorations as we get under the skin of the World’s Greatest Metropolis, and beyond. This week’s edition is hosted by Mac, our Founder and Lead Guide. This week: Hiyonoyama and Makkumaru; 2019 Daikoku Matsuri; The Four Seasons of Edo; Miyagikyo 15 and Earthquake Training for guests! Featured image – Hiyonoyama and Makkumaru: . It has been an absolute joy sharing my love of Sumo with our guests over the last two weeks at the 2019 January Grand Tournament. Dr. Elizabeth Tasker, our favourite Tokyo-based Exoplanet expert, was able to enjoy sumo thanks to a ticket from us which she was able to get because she follows us on Twitter. She wrote about her great day on her excellent blog, Girl and Kat. 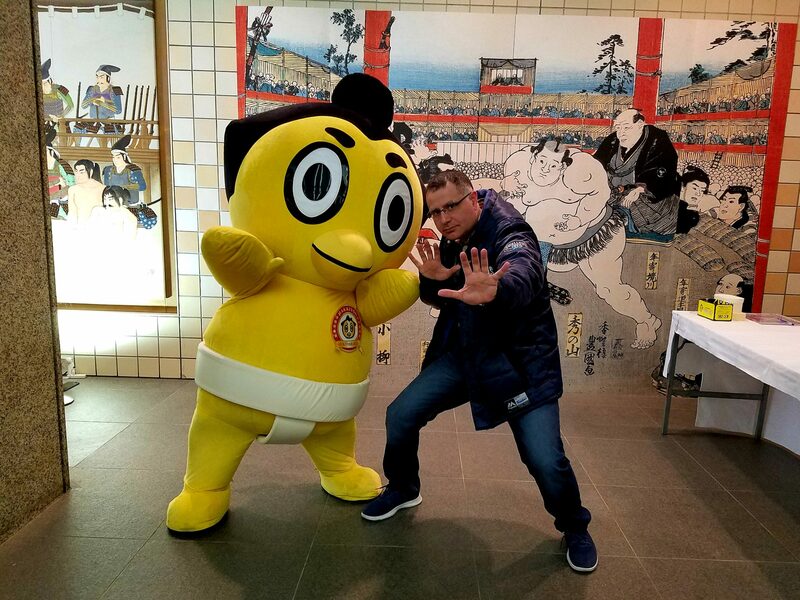 My guests on 24 January insisted that I get a photo with Sumo mascot Hiyonoyama. I obliged. It’s all part of the job! Hiyonoyama’s assistant even gave me my Sumo name “MakkuMaru”. Congratulations to Tamawashi on his first Sumo Championship victory from all at Maction Planet. You can watch Tamawashi’s victory against the G.O.A.T Hakuho in our exclusive video here. 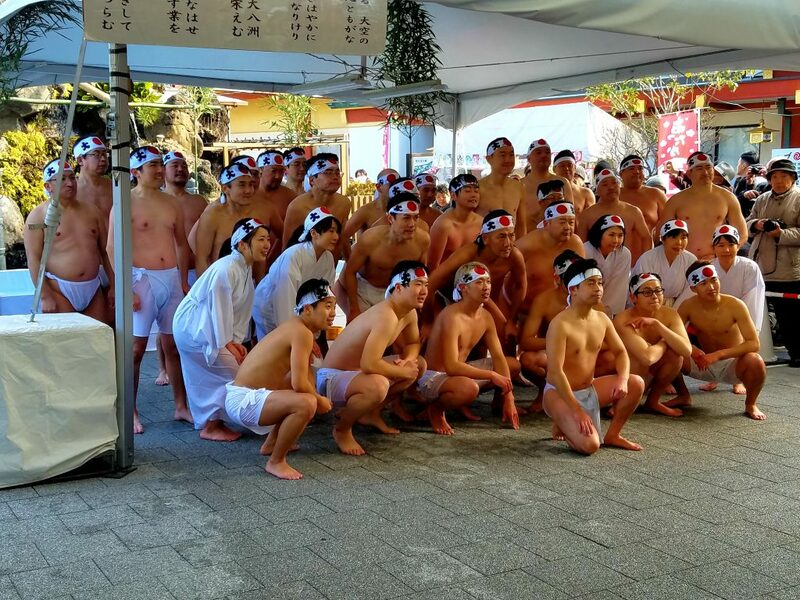 2019 Daikoku Matsuri: The Daikoku Matsuri is quite the spectacle. Daikokuten is one of the seven gods of fortune, and one of the highlights of the annual festival honouring him at Kanda Myojin is the bone-chilling purification ceremony. Performed on the first day of the festival, participants (some of them coming-of-age i.e. 20 years old) repeatedly douse themselves in ice water. As you can see in the photo, they are all still smiling after the ordeal. Last year I experienced it with Jose and his family from Chile. This year I hosted Gaspard, Miho, Thomas, Mathilde, Patrick and Simon there at the start of an incredible day together which took in this matsuri, the absolute most secret shrine in Tokyo, one of my top 10 ramen shops in the city, wine and sake tasting, kimono shopping and much more! 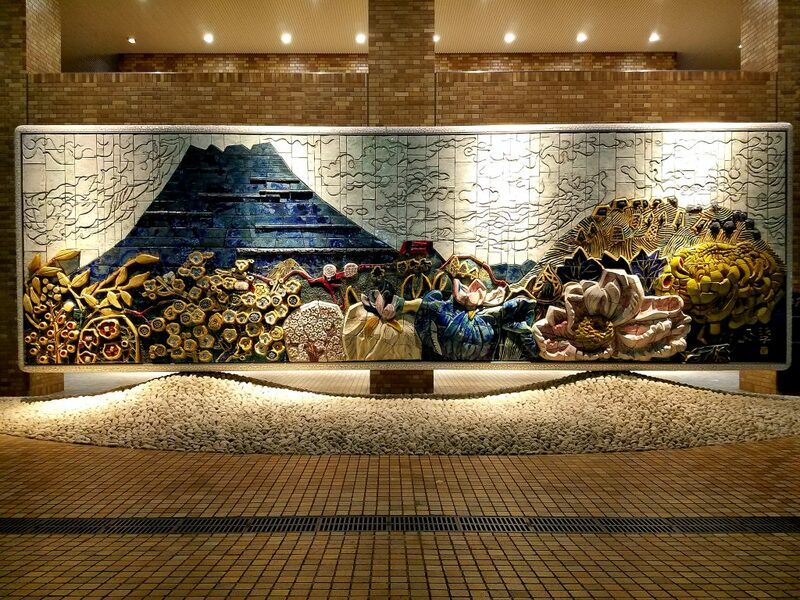 The Four Seasons of Edo: This incredible ceramic relief, 3.3m high x 14m long, was designed by prominent Nihonga painter Tamako Kataoka (1905-2008). It was created in 1978 to celebrate the opening of Sunshine City. At that time, the relief was placed at the underground main entrance to the main building. When the building was renovated it was moved to ground level and placed outside the west entrance to the building. An unveiling ceremony for the work was held on 15 January 2016. The title “Four Seasons in Edo” came first – it was decided that this would be a suitable title for a work to celebrate this new Tokyo landmark. Kataoka was then given the title and given free reign. She is most well known for her series of paintings of Mount Fuji and other mountains, so it seems fitting that Mt Fuji, which she describes as “the guardian god of Tokyo”, featured in this incredible work which was created when she was 73 years old! I love taking guests there whether our focus is the otaku culture, art or the trademark Maction Planet mix of everything. Miyagikyo 15: Masataka Taketsuru, the founder of Nikka, aimed to make his blends more complex by widening the variety of whiskies available to him. In 1967, while exploring northern Honshu to find a site for his second distillery, he came across a glen at the junction of two rivers. After trying the water from one of the rivers, coincidentally called Nikkawa, he knew he had found his spot. The larger pot stills at Miyagikyo are heated by indirect steam at lower temperature then usual which allows for slower distillation, resulting in the mild, floral and fruity characteristics in Miyagikyo Single Malt. 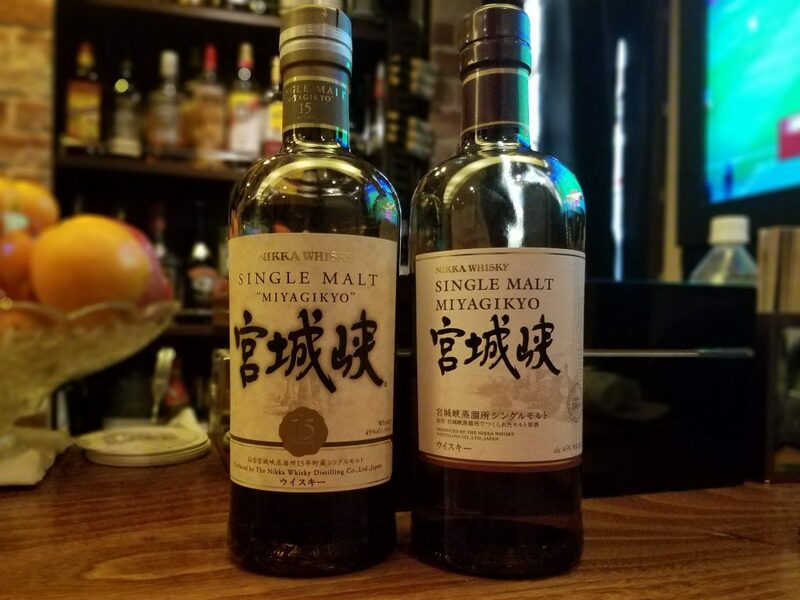 Nikka’s Single Miyagikyo (right) is relatively straightforward to find. The 15 year old Miyagikyo (left) is my favourite whisky to have come out of this unique distillery. I’m not the only one who thinks so: whisky expert Jim Murray awarded it 92 out of 100 in his famed Whisky Bible. In 2015 Nikka removed all their 10 yr, 12yr, 15yr and 20yr aged Miyagikyos (and Yocihis – their first distillery) from the market and released a reformulated no age statement version. This means these whiskies are now extremely hard to find. Join us on a Tokyo Whisky Tour to taste incredible whiskies like this. And finally – Earthquake training for our guests: I currently have the honour of hosting the Ginsburg family on a Pan-Japan Tour. 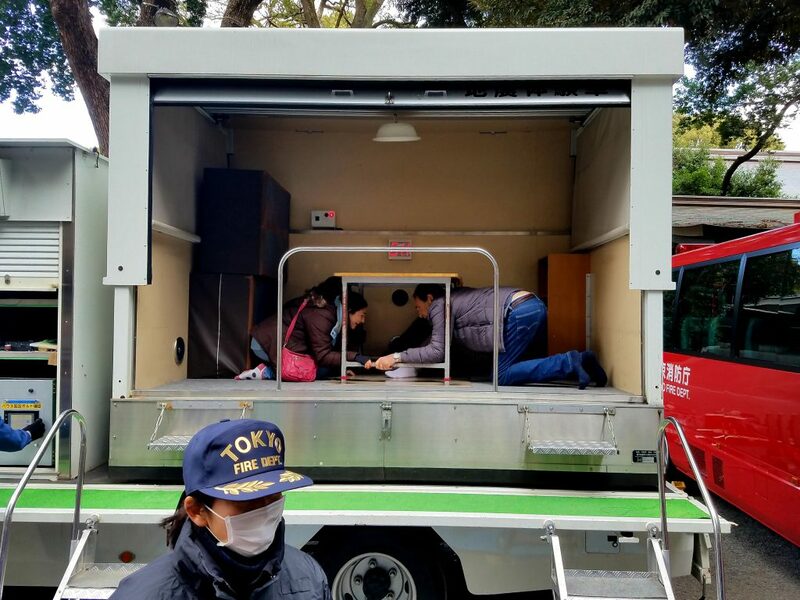 On our first day together I was already training them up to be true Tokyoites by putting them through Earthquake Training at the Meiji Jingu Shrine with the help of my friends at the Tokyo Fire Department!